This section provides the basic guidelines regarding eligibility for a Veterans Pension. Applying for this benefit requires financial documentation since Veterans may qualify for pension if they meet certain service, income and net worth limits set by law, as well as age and other prerequisites. There are also special categories of Veterans and "aid and attendance" program that may provide a better fit for you. 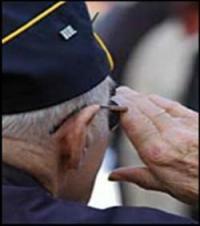 Pension rates are variable depending upon each Veterans' unique situation. Let us help you explore this benefit with you.